Crystal Cruises has announced its President’s Cruises for 2019 and 2020, according to a press release. Crystal President and CEO Tom Wolber will host the December 1, 2019, “Panama Panorama” sailing from Fort Lauderdale to Caldera aboard the Crystal Symphony and the December 7, 2020, “Icons of Southeast Asia” aboard the Crystal Symphony for an extended journey from Singapore. Wolber will be joined by his wife, Sharon, and will welcome Crystal guests for onboard receptions, Q&A sessions and special shore excursions, the company said. Crystal Symphony’s 10-day “Panama Panorama” President’s Cruise sails from Fort Lauderdale and spends overnights in Cartagena, Colombia; Panama City, Panama; and Caldera, Costa Rica, also transiting the Panama Canal. 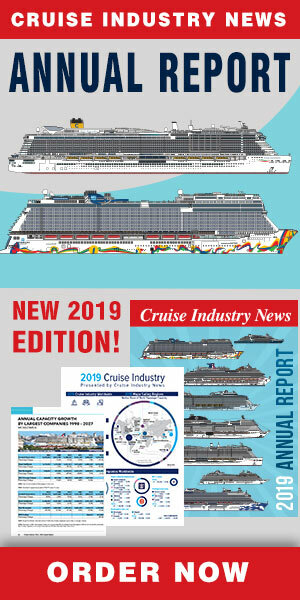 In 2020, the 15-day “Icons of Southeast Asia” President’s Cruise offers the best of Thailand and Vietnam, overnighting in Singapore; Bangkok, Thailand; Ho Chi Minh City and Hanoi, Vietnam, plus calls in Ko Samui, Thailand and Sihanoukville, Cambodia, allowing for day trips to Angkor Wat. Guests continuing on the full 30-day “Grand Far East Asia Celebration” will spend two nights in Hong Kong and return to Ho Chi Minh City and Hanoi for overnight stays, plus an overnight New Year’s Eve celebration in Singapore with calls in Da Nang, Vietnam and Sihanoukville, Cambodia.